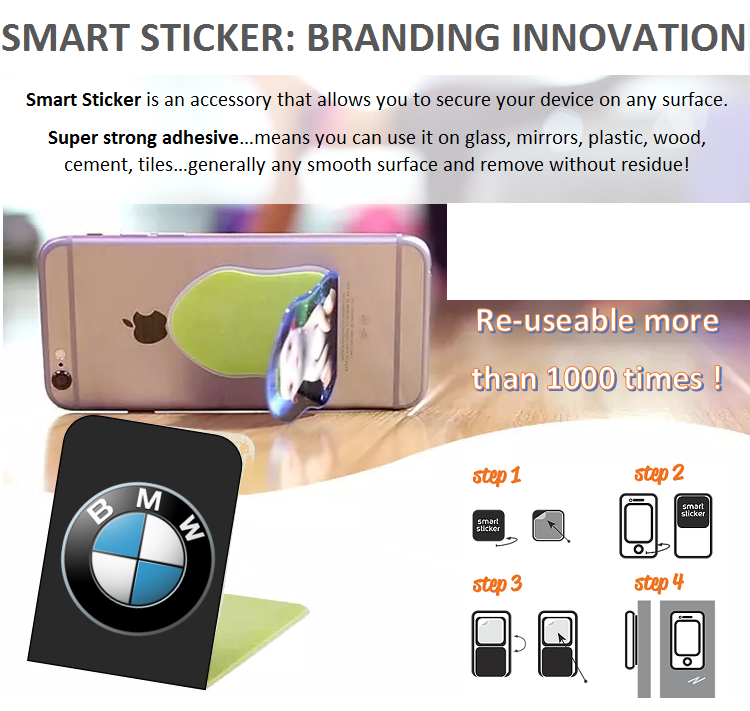 A gravity defying sticker that allow you to place your smart phone on virtually any flat smooth surface and removes without any residue. Giving great branding power with full colour custom print on the sticker cover: your message will be seen every time this sticker is used. MOQ x500 pcs.